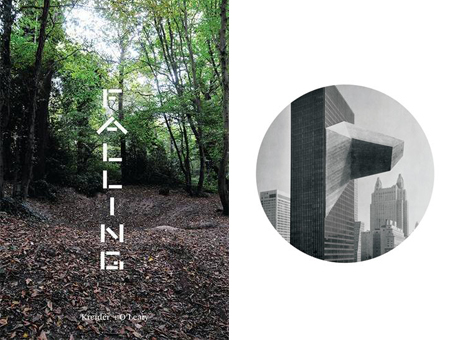 Copy Press have published Falling, a jointly-authored book written by Bartlett School of Architecture Lecturer James O’Leary and alum Dr Kristen Kreider. Kreider + O’Leary are a poet and architect who collaborate to make performance, installation and time-based media work in relation to sites of architectural and cultural interest. Since 2003, they have worked collaboratively to construct work in prisons, churches, military sites, film locations, landscape gardens and desert environments. Their work 'Light Vessel Automatic' was exhibited at Performing Architecture at Tate Britain in 2013. They exhibited 'Edge City' at the Lisbon Architecture Triennale from in 2013 and at The Whitechapel Gallery in August 2014. Kristen is currently Director of the Practice-based PhD programme at Royal Holloway, University of London. Her book Poetics & Place was recently published by I.B. Taurus. James is currently a Lecturer in Innovative Technology and Design Realisation at The Bartlett School of Architecture, UCL, where he leads the MArch Architecture Design Realisation module.